For a small island that is increasingly crowded with people, Britain displays a strangely persistent fascination with traveling fast, as reflected in several recent news stories about speed records and vehicular races. Last month, a British built vehicle set a new world land speed record for electric cars. And while nobody dislikes the idea of aristocracy more than me, I must admit to being impressed by the BBC report that: "Lord Drayson, who was behind the wheel, said the achievement was designed to highlight electronic vehicle technology's potential." I'm assuming this is Lord Drayson, sitting on the amazing vehicle (and I'm hoping he doesn't mind me displaying this picture--which is particularly interesting to me since it shows one of the sponsors was Qualcomm, based in my adopted home town of San Diego). Lord Drayson is CEO of Drayson Racing Technologies, developer of the amazing Lola B12 69/EV which hit a top speed of 204.2mph (328.6km/h). Drayson is based in Oxfordshire, England. The vehicle was built using a lot of parts from Lola, a leading supplier of chassis for prototype racing, such as you see driven in the Le Mans 24 Hours race. Lola is based in Cambridgeshire, England. Drayson's car handily beat the previous record of 175mph set by Battery Box General Electric in 1974. Building fast cars has long been a passion in England, from the early records set by Rolls Royce powered cars in the 1920s to the Formula One cars of today. 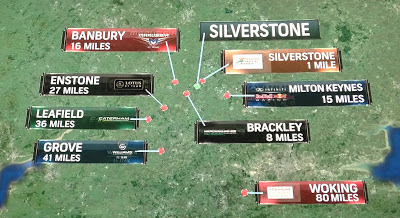 Regardless of their official country affiliation, most of the F1 teams are based in England, where the lion's share of the engine and chassis development occurs. 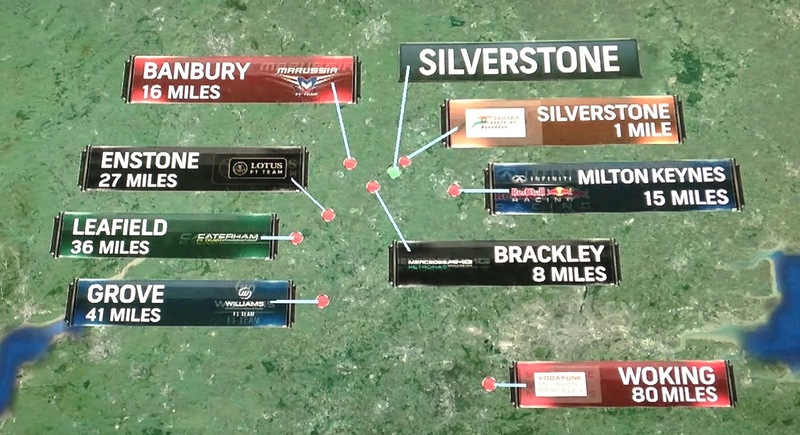 This graphic from NBC coverage of Formula One makes this quite clear. All of which seems a bit odd for such a small and crowded place. In Britain, the phrase "Land's End to John O'Groats" is synonymous with "one end of the country to the other," and this is about 600 miles as the crow files. The journey by road is 837 miles according to Google, which estimates you can cover it at an average of 60 mph. 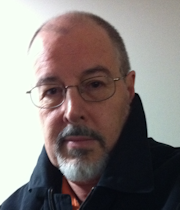 Compare that with my drive in 2011, from Upstate New York to Southern California, when my Jeep clocked 3,000 miles. Google reckons you can average that one at 67.35 mph. 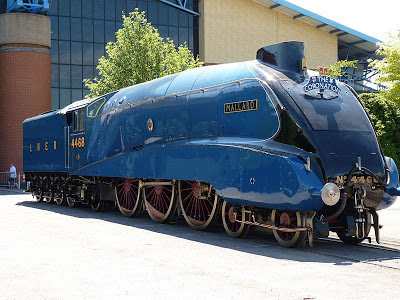 This month there will be a big celebration of the 75th anniversary of that achievement and six examples of this type of locomotive, designated A4, will be reunited at a museum in York. This inspired the Daily Mail to produce a great graphic explaining how to drive a steam locomotive. Nowadays you might not associate Britain with high speed train travel, given that the French hold the world record for rail, hitting 357mph using electric power delivered by overhead lines. But it is worth noting that British Rail Class 43 holds the Guinness record for the fastest self-contained locomotive (diesel powered). Why do the Brits have this need to make machines go faster, I don't know. But it makes for exciting times, whether it is a Formula One race or a record attempt.